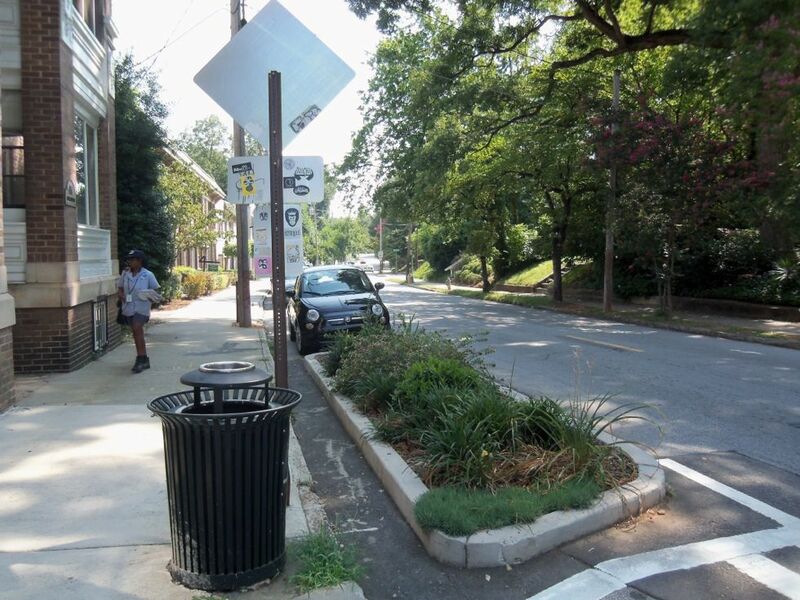 While the separation of the street and the sidewalk is generally defined through on-street parking, street furniture, and physical elements that buffer pedestrians from motorists, curbsides have the potential to host a wide variety of uses beyond parking. 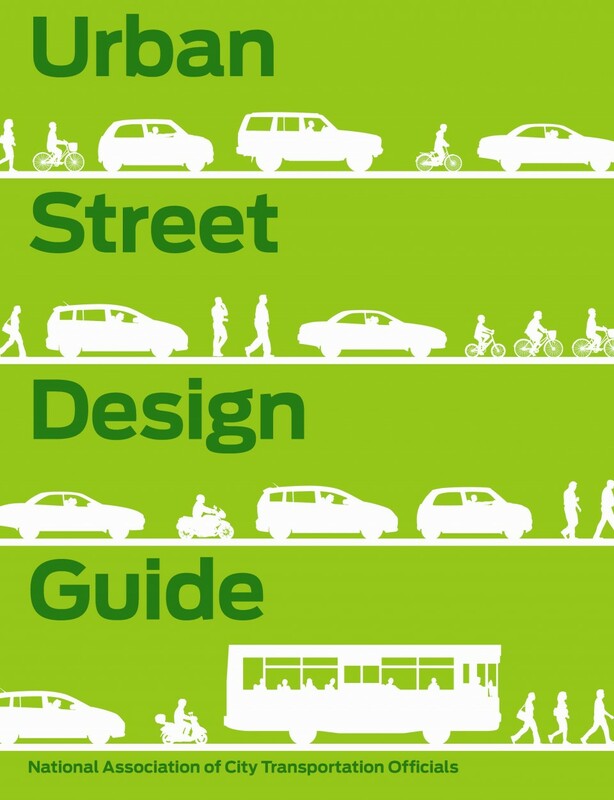 On-street parking spaces or curbside travel lanes may be converted to bus lanes or cycle tracks. 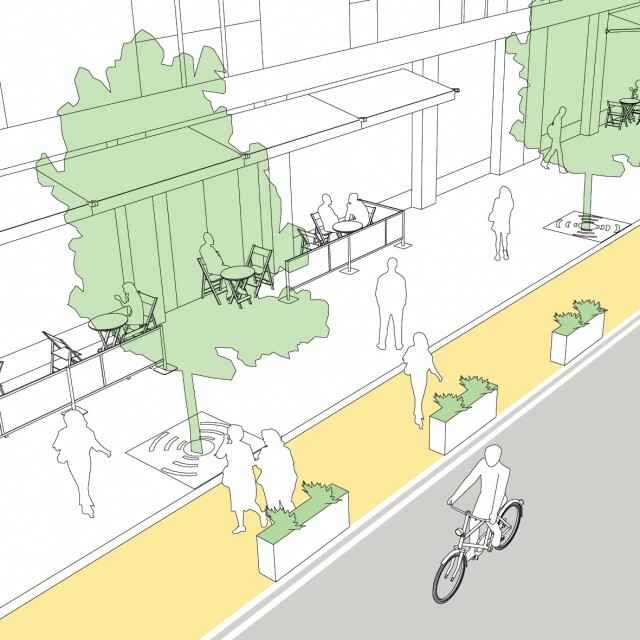 2–4 parking spaces can be replaced with a parklet or bike corral. 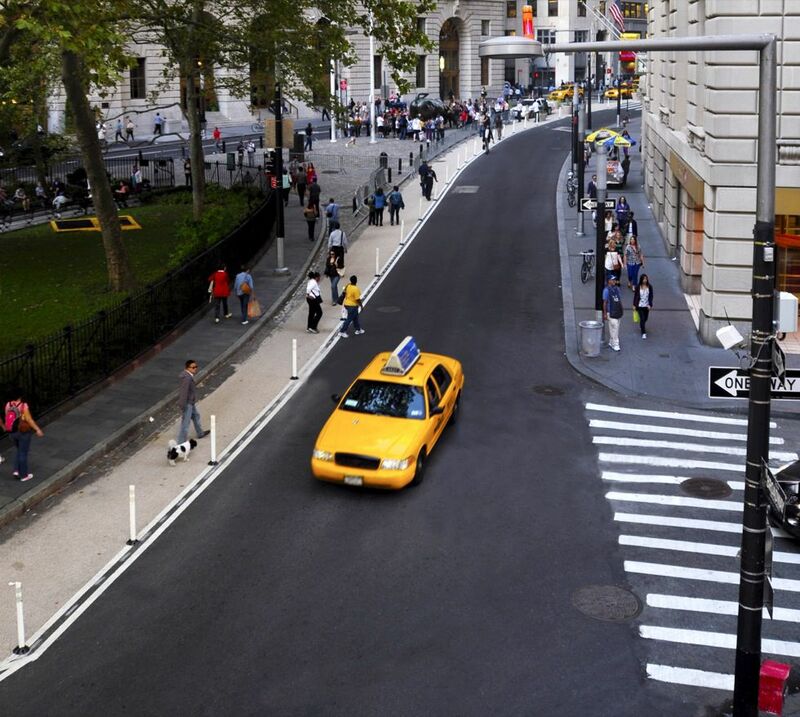 On weekends or at lunch time, curbsides can host food trucks or vendors that activate street life and create a destination within the street. 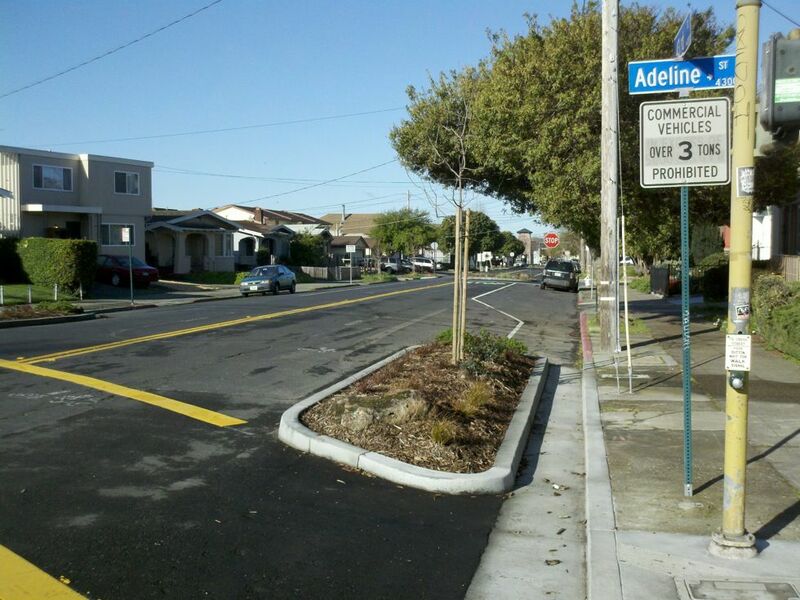 Curbsides have the potential to host a wide variety of uses beyond parking. 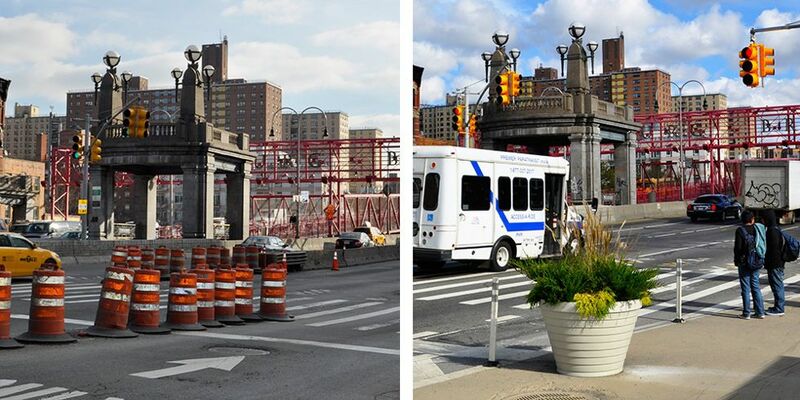 As neighborhoods change and develop, the intensity of a street's uses may also change. 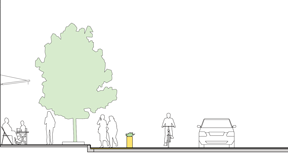 Sidewalks can be expanded using interim materials, such as epoxied gravel, planter beds, and bollards, easing pedestrian congestion in advance of a full reconstruction. 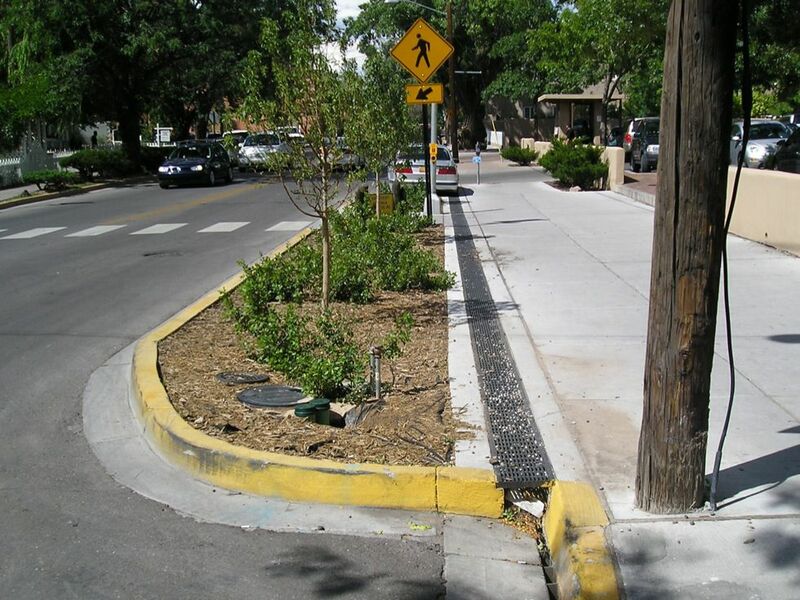 Temporary traffic calming devices may be installed using a narrow drainage channel. 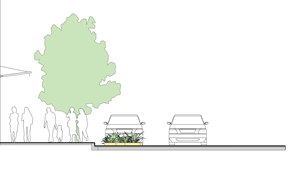 These offset islands help slow speeds in advance of a full reconstruction. 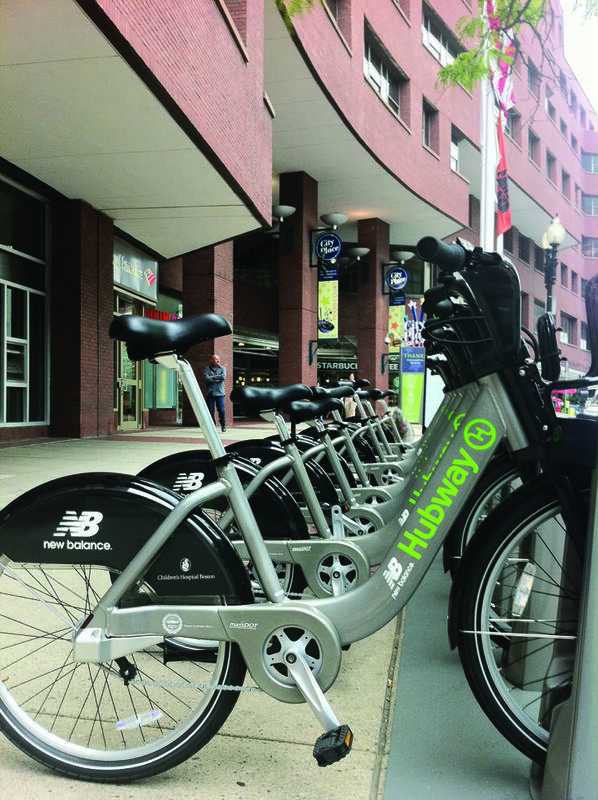 Bike share stations can serve as an integral part of the public transit system. 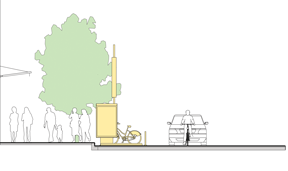 Station maps and kiosks can serve as a focal point that orients tourists and visitors while drawing people to key destinations. 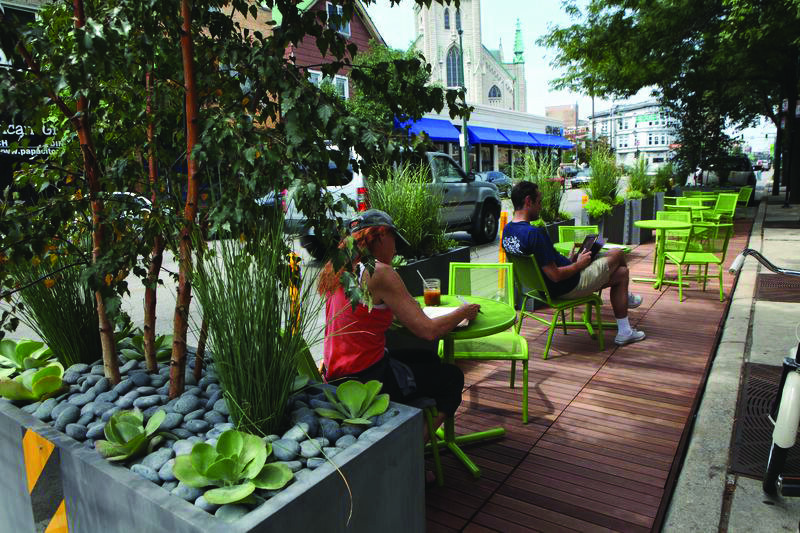 Parklets are public seating platforms that replace several parking spaces. 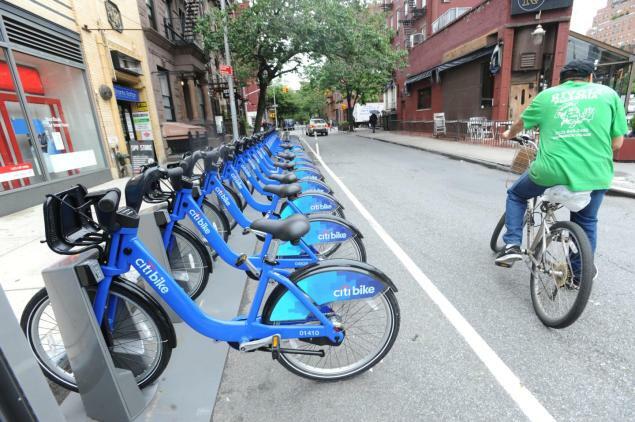 They serve as a gathering place for the community and can energize local stores and shops. 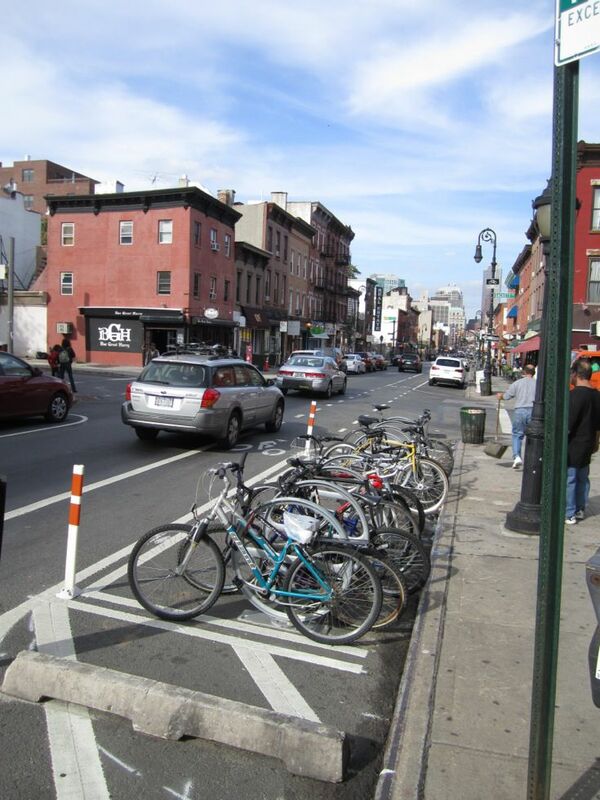 Drew Meisel, Bike Corrals: Local Business Impacts, Benefits, and Attitudes (Portland: Portland State University, 2010). Meisel, Drew. 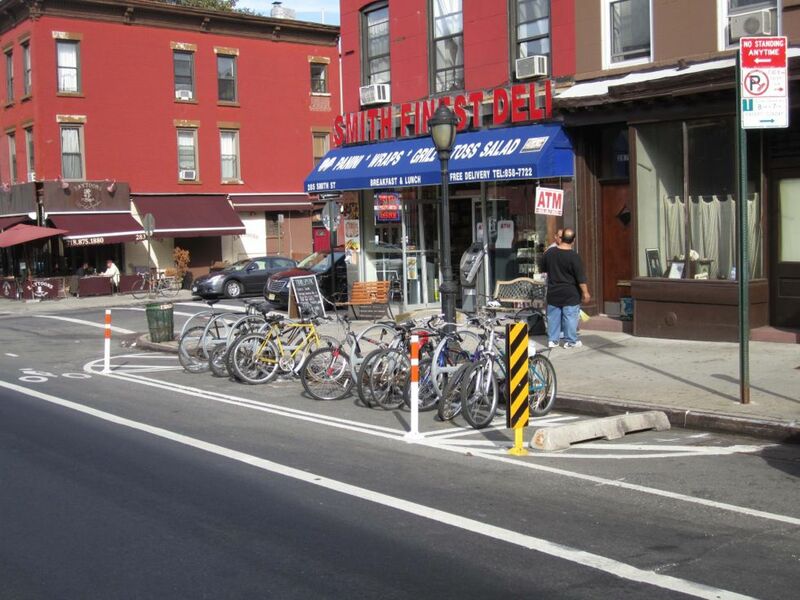 Bike Corrals: Local Business Impacts, Benefits, and Attitudes. 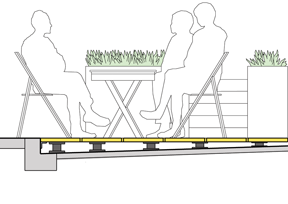 Portland: School of Urban Studies and Planning, Portland State University, 2004. McNeil, Nathan. 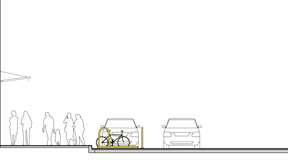 "Portland’s Bicycle Corrals: A Case Study of East 28th Avenue." Portland: Portland State University, 2009. 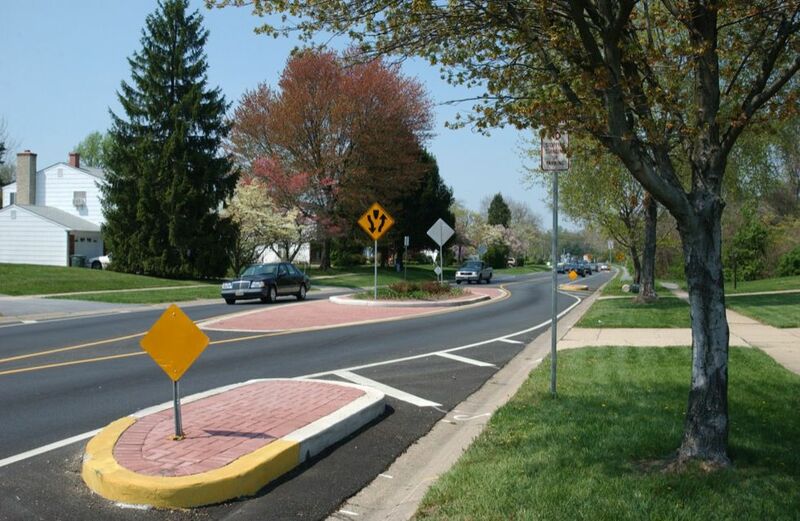 References for Moving the Curb: 2 found. Meisel, Drew. 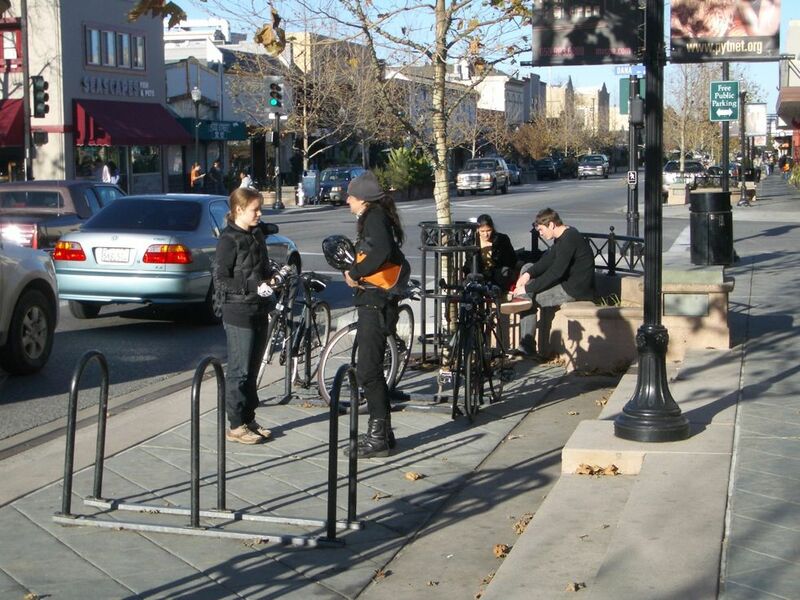 "Bike Corrals: Local Business Impacts, Benefits, and Attitudes." School of Urban Studies and Planning, Portland State University, Portland, OR. McNeil, Nathan. 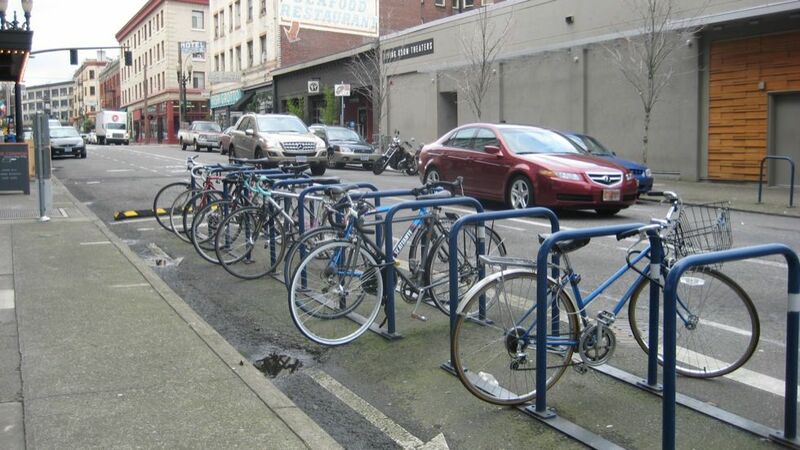 "Portland’s Bicycle Corrals: A Case Study of East 28th Avenue." College of Urban and Public Affairs, Portland State University, Portland, OR.